An ELECTRONIC CIGARETTE (e-cig or e-cigarette), personal vaporizer (PV) or electronic nicotine delivery system (ENDS) is a battery-powered vaporizer which has the feel of tobacco smoking. They produce a mist rather than cigarette smoke. In general a heating element vaporizes a liquid solution known as e-liquid. E-liquids usually contain a mixture of propylene glycol, glycerin, nicotine, and flavorings. Others have similar ingredients but without nicotine. The benefits and risks of electronic cigarette use are uncertain. Evidence suggests e-cigarettes may be safer than smoking tobacco products. They may possibly be as safe as other nicotine replacement products, but there is not enough data to draw conclusions. They may carry a risk of addiction in those who do not already smoke, but there is no evidence of ongoing use among those who have never smoked. They may promote delaying or deterring to quit smoking. Emissions from e-cigarette contains flavors, aroma transporters, glycerol, propylene glycol, nicotine, carcinogens, heavy metals, and other chemicals. The levels of contaminants do not warrant health concerns according to workplace safety standards. E-cigarette mist has fewer toxicants than cigarette smoke. They are likely to be less harmful to users and bystanders. Less serious complaints from e-cigarette users include throat and mouth inflammation, vomiting, nausea, and cough. The E-CIGAR is a fairly new product in the world of electronic cigarettes. The most notable difference between a real cigar and an e-cigar is the absence of a room-destroying stink. These electronic devices look and feel like a real Cuban and make it possible to once again enjoy a fine tasting cigar at the poker table. Electronic cigars have some big shoes to fill, as the typical cigar smokers is not going to be easily won over. When I first got an electronic cigar I noticed the realistic qualities of the packaging and the wrapper. Many electronic cigar vendors will spend a few extra bucks to make them look as authentic as possible before you even pick it up out of the package. Even the weight balance and the feeling of the paper added to the overall look and feel of the original. From a short distance, it is almost impossible to see that these device are actually electronic in nature. The only thing that gives them away is the lack of smoke and ash. Many e-cigars are disposable and will last for several months of poker games. They have a LED tip that is usually partially hidden behind some type of screen to mimic a real cigar’s ash. Source: Info-Electronic-Cigarette.com. 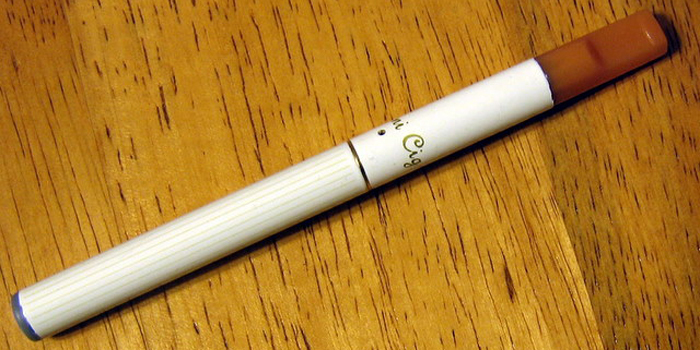 10 Little-known Facts About E-cigarettes - Discovery Health. Are E-Cigarettes Safe? Here's What the Science Says - "E-cigarettes were designed to help people quit smoking. But the question is, does that potential outweigh their possible risks to human health?" Can e-cigarette makers stub out addiction concerns? - The Guardian. E-Cigarette Forum - "We are the world’s largest electronic cigarette website. Here you’ll find a world of ecig information, discussion, everything for new and old users, honest reviews, and a whole lot more!" E-Cigarette Maker Juul Labs Is Raising $1.2 Billion - "Investors are valuing the vaping giant at $15 billion." E-Cigarette Vapor - Even when Nicotine-Free-Found to Damage Lung Cells - The American Physiological Society. E-cigarettes and health - here's what the evidence actually says - Vox. e-cigarettes are definitely safer than smoking - The Guardian. E-Cigarettes Are Effective at Helping Smokers Quit, a Study Says - "A yearlong, randomized trial in England showed that e-cigarettes were almost twice as successful as products like patches or gum for smoking cessation." E-cigarettes are still 'a bet' and diseases may emerge within 10 or 20 years, warns Imperial College - The Telegraph. E-Cigarettes Can’t Shake Their Reputation as a Menace - The New York Times. E-cigarettes in danger of becoming 'lifestyle choice' before safety is proven, warns health prof - The Telegraph. E-cigarettes 'more harmful than we think' - "Vaping can damage vital immune system cells and may be more harmful than previously thought, a study suggests." Electronic Cigarettes Honest Reviews - "Top picks. Smokeless, Electric Cigarettes." F.D.A. Panel Rejects Philip Morris’ Claim That Tobacco Stick Is Safer Than Cigarettes - The New York Times. Future of E-Cigarettes in Question on European Crackdown - Bloomberg Businessweek. info-electronic-cigarette.com - "The Best Electronic Cigarette Guide For 2014." 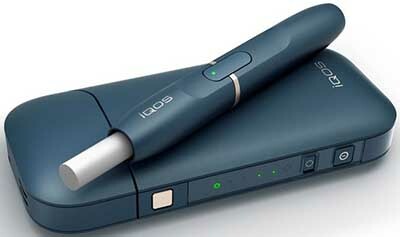 IQOS - A New Type of Smokeless Cigarette by Phillip Morris - Vape Ranks. Juul Suspends Selling Most E-Cigarette Flavors in Stores - "More than three million middle and high school students reported using e-cigarettes in 2017, according to preliminary government data, with about one-third saying the flavors were a big factor in their choice." Lawmakers are trying to regulate e-cigarette flavors - The Verge. Liquid nicotine is a poison, so why is it being packaged like junk food? - The Verge. Marlboro Kicks Some Ash - Philip Morris makes a device to heat - rather than burn - tobacco. Philip Morris Products S.A. Modified Risk Tobacco Product (MRTP) Applications - U.S. Department of Health and Human Services. Some Older Smokers Turn to Vaping. That May Not Be a Bad Idea - The New York Times. Study says e-cigarettes increase risk of cancer and heart disease - "No matter how you get your nicotine, it could damage your DNA." Teens who use e-cigarettes are more likely to try smoking, report shows - The Guardian. Tobacco Device Hits Snag as Experts Question Disease Dangers - Bloomberg. vape - the Oxford Dictionaries Word of the Year 2014. Vaping: e-cigarettes safer than smoking - The Guardian. Vaping saves lives. It’d be madness to ban it - The Guardian. WHY IS JUUL WORTH $16 BILLION? IT’S MORE LIKE A CIGARETTE THAN YOU THINK - "This is a recipe for addiction." Why it’s so hard to talk about e-cigarette risks - "‘People misunderstand the concept of safety versus safer.’"
Apollo Electronic Cigarettes - "Electronic Cigarettes." Green Smoke - "Best E Cigs In The UK." Halo G6 - "E-Cigarette Starter Kit G6." IQOS - "Heat not burn technology." MiD series - "The world's most advanced e-cigarette." Premium Ecigarettes - "PremiumEstore offers a high quality electronic cigarette along with lots of great accessories. Kick the smoking habit. Try e cigarettes today." South Beach smoke - "Deluxe Electronic Cigarette Starter Kit." V2 Cigs - "Electronic Cigarettes." Vapelux - "Vapelux e-cigarettes, e-cigars and shisha produce a vapour that’s odourless, so you can enjoy them almost anywhere without affecting those around you. All our products use the highest quality ingredients and a secret recipe of authentic flavours that give all our products outstanding, long lasting taste." Vapor Couture - "Vapor Couture is the only line of e-cigarette designed exclusively for women. It is a unique line of vapor cigarette that combines the technology of V2 Cigs with elegant designs and stylish accessories." VaporFi - "Express Starter Kit." Antonio Villard Premium Electronic Cigars - "Maracello Rechargeable Electronic Cigar." cigavette - "It's not a cigarette. It's a CIGAVETTE!" Electronic cigars. Disposable E cigar. LG-1000 Disposable E-Cigar - "This 1800 puff device makes for a great way to test the waters or buy a box for the next poker game." Royale Premium Electronic Cigar - "Our Royale Premium Electronic Cigar comes in a larger ring size (54) and darker wrapper to provide the user with a stately and pronounced cigar that is perfect for enjoying a night out on the town, or even relaxing at home." Vapor4Life - "Vapor Zeus e Cigars."